The Texas Department of Criminal Justice says it found packages of cocaine with a street value of nearly $18 million inside a shipment of bananas. But the 45 boxes of bananas also concealed a secret. "One of the boxes felt different than the others," the TDCJ said. A sergeant freed the box from a strap and opened it. "Inside, under a bundle of bananas, he found another bundle!" TDCJ said. "Inside that? What appeared to be a white powdery substance." They alerted U.S. customs officials, who tested the powder and found it was cocaine. That set off a search of the whole shipment of bananas. And the results were staggering: According to TDCJ, the officials found 540 packages of cocaine. They say the street value of the drugs is nearly $18 million. Photos released by the department show stacks of neat small boxes, apparently filled with narcotics. The Drug Enforcement Administration and U.S. Customs and Border Protection are investigating the find. Authorities have not released where the shipment came from or who the intended recipient was. "Sometimes, life gives you lemons. Sometimes, it gives you bananas," TDCJ writes. "And sometimes, it gives you something you'd never expect!" In April, Spanish police found some 9 tons of cocaine in a banana shipping container from Colombia, The Associated Press reported. In February, Albanian police also discovered 1,350 pounds of the narcotic in another banana shipment from Colombia, according to the wire service. Romanian authorities said in July 2016 that they uncovered some 2.3 tons of cocaine in a banana shipment from Colombia and other South American countries, the AP said. 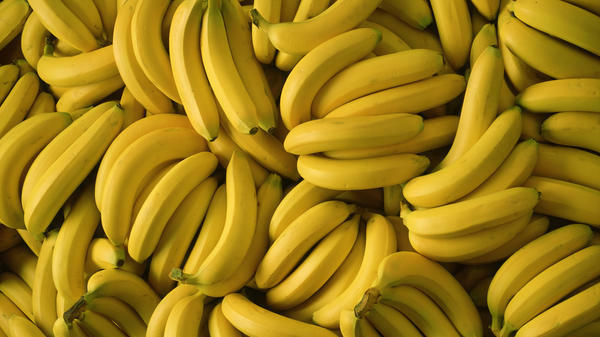 According to the BBC, 13 supermarkets in Germany received Colombian banana boxes containing cocaine in May 2015. The same supermarket chain, Aldi, also received cocaine in a banana shipment in January of that year.